Have you ever heard of bendable wood? What about fish leather? These materials and more are available at Inventables, a site offering small quantities of unusual and unique supplies. This is a great place to look for ideas to give your crafts a little pop and stand out from the crowd. I chose some of my favorite items from their store that could make a very unique crafty creation. Remember Hypercolor shirts? 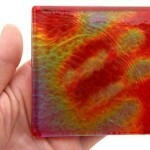 These glass tiles have the same heat-sensitive color-changing properties. The tiles come in different base colors and sensitivities. They can be activated by any change in temperature – ambient temperature, body temperature and water temperature. Disney had the tiles installed in the Mickey Mouse penthouse shower at the Disneyland Hotel; when guests take a shower, the hot water makes silhouettes of Mickey appear on the tiles. 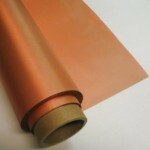 This isn’t just copper-colored or metallic fabric – it actually contains copper and is conductive! It has a tarnish-resistant finish so that the color lasts over time. 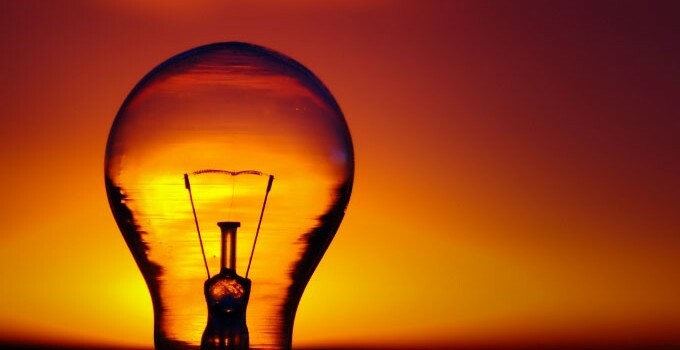 The fabric could be put to some creative use wherever normal fabrics are used – clothes, purses, drapes and accessories. Add some unique style with copper you can cut and sew! Inventables offers a sample of one linear yard. Aluminum foam is a cell of actual aluminum formed with bubbles, a similar process to real foam. 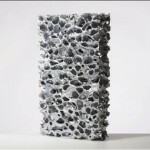 The dramatic sponge-like shape of aluminum foam is a modern and unique look. The foam can be used for paneling, cladding, signs and other visual structures. It’s lightweight and can be manipulated as you might expect, since the surface is similar to a thick aluminum foil. It could be striking on a piece of art, but make sure it’s out of reach or protected under glass away from those curious bubble-squishers. These are just a few of the uncommon and futuristic materials available to order in small batches at Inventables. Explore the site to see other oddities! I keep expecting sea monkeys on on the next page when I’m browsing through. Cover image by Just call me Jac on Flickr.